Ideal Home Loan Interest Type - Floating Or Fixed? HomefinanceIdeal Home Loan Interest Type - Floating Or Fixed? Whether you are buying your first home or adding to your list of properties, home loans in India are the best way to finance your big purchase. Just like your lender considers your meeting the home loan eligibility criteria a deciding factor for your application’s approval, you should consider the housing loan interest rate as the deciding factor for choosing a particular lender. Since these rates vary from lender to lender, you must spend time studying and comparing offerings to get one that is affordable. The housing loan interest rate determines the total cost of your home loan and the amount you pay as your monthly installment as each EMI consists of the principal and the interest. So, after narrowing down on a lender, you must decide between a fixed rate of interest or a floating rate of interest, which determines if your interest rate is uniform throughout your home loan tenor or not. The following points can help you differentiate between fixed and floating interest rate home loans to make an informed decision. With this type of interest rate, you pay a constant EMI over the course of your loan until your loan tenor reaches its revision clause, when the rate is reset based on prevalent financial conditions. A fixed rate of interest can be beneficial to you as you know the exact amount payable and can plan prepayment in advance, especially when it comes to a lengthy commitment involved in a home loan. A floating rate of interest changes according to market dynamics. This means the amount you pay as EMI increases or decreases based on the quarterly base rate announced by the RBI. You can get a floating rate as low as 8.85%, which can help you save a substantial amount over the course of your loan tenor, or you can get a higher rate if the RBI’s base rate is high. A floating rate of interest is beneficial so you can get the benefits of a lower rate in the future. With a floating rate of interest, you can also enjoy zero charges on part-prepayment or foreclosure. A fixed rate of interest is always higher than a floating rate by up to 1 to 2.5% more. Further, most lenders offer fixed interest rates only for a specific period in your tenor and not the entire tenor of your home loan. This makes it important for you to read the fine print and terms set by lender or clarify these details with them before signing on the dotted line. Additionally, if you have opted for fixed interest and the interest rates in the market have fallen, you will continue to pay the fixed interest rate and not be able to make your loan more affordable. Simultaneously, you will usually need to pay a fee for making part payments on your home loan or while foreclosing your loan. With a floating rate of interest, if the prevailing market rate increases exponentially, you may end up paying considerably larger EMI amounts. This could be dangerous if you are buying your home on a tight budget. Defaulting on your payments could have serious implications on your credit score too. Also, since most lenders will simply extend your tenor rather than increase your EMIs, you could be paying off your home loan for a long time. 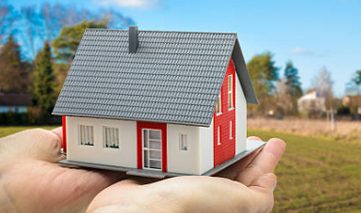 By being aware of these points, you can make a much more informed decision when it comes to choose the home loans in India. You can use tools such as the home loan EMI calculator to know the exact amount payable on interest through both a fixed rate and floating rate by calculating the tenor, interest rate and loan amount, in a few seconds.